I am a big believer in the mental and physical benefits of massage. Human touch is powerful friends. I try to schedule massagses on a somewhat regular basis as they really help me unwind, de-stress, and bliss me out. 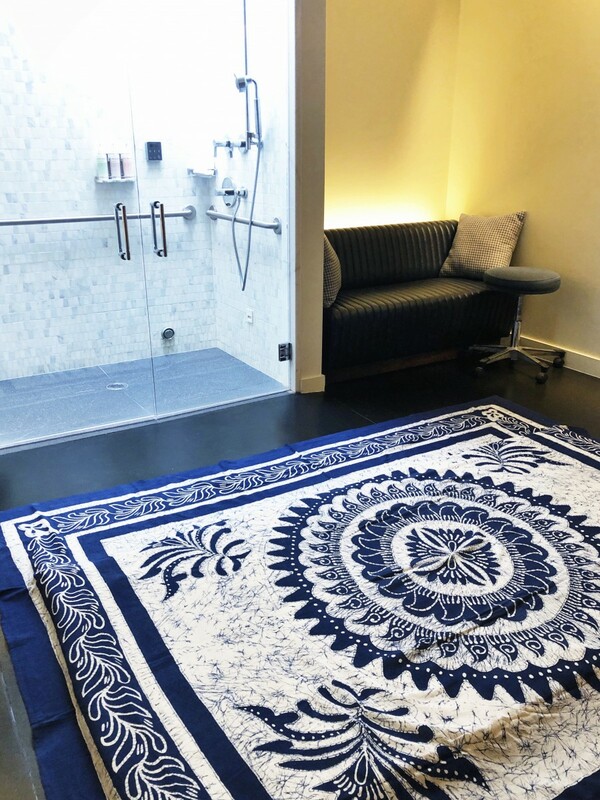 Recently I had the opportunity to try a Thai massage at the 21c Museum Hotel Spa in Cincinnati. I had never had a Thai massage before, and when I asked you guys on Instagram Stories, most of you haven’t either. So I thought it would be fun to share my experience. It was a completely new experience for me and one I really, really enjoyed. A Thai massage is very different from a traditional Swedish massage or deep tissue massage. Instead of lying naked on a table getting oil rubbed on your body, you lie clothed on the floor and are stretched every which way. 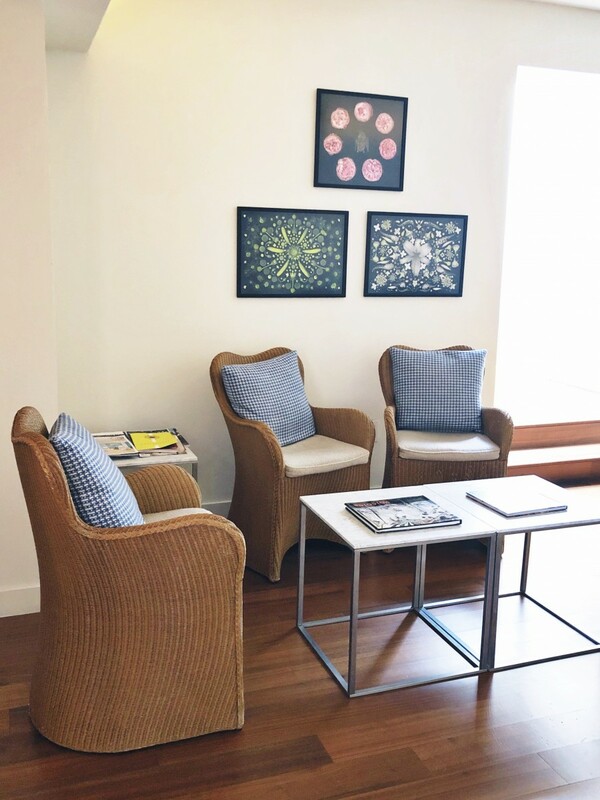 The massage therapist puts pressure on different parts of your body, leaning, sitting, and kneeling on you as she bends you into different positions. A Thai massage is also a little longer than a traditional massage, lasting between 75-90 minutes. Getting a Thai massage feels a lot like when you’re stretching in a yoga class and the instructor comes over and pushes you deeper into a stretch. Except in a Thai massage, the massage therapist does all the work. You literally just lie there, and they move you into all the positions they want you in. There is a lot of communication during the massage about how deep they take a stretch and the amount of pressure they apply to make sure it is to your comfort. I read some stories online before my massage about people in Thailand getting very painful Thai massages that invovled the massage therapist applying insane amounts of pressure. My massage therapist was fantastic, asking me what my comfort level was and continually checking in with me during the massage. It was never painful. Thai massage is actually not originally from Thailand. It was created by an Indian doctor named Jivaka Kumar Bhacchahas around 2,500 years ago. Thai massages are very popular in Thailand though, and are actually seen as a medical treatment. The massage focuses on stimulating and stretching the 10 main energy lines within the body. Thai massage has a lot of benefits. In addition to reducing stress, Thai massage improves flexibility, circulation, and energy in the body. It’s great for targeting sore areas a person may have and is known for making a person feel invigorated and refreshed when the massage is over. Expect to be stretched during your Thai massage! You will lay on a soft mat and your body will be twisted and turned into many shapes. It’s not uncommon for various parts of your body to pop as you are manipulated through various poses. I started lying on my stomach and then was flipped over to lie on my back. While a Thai massage is not the type of massage that will inspire zen during your treatment, it is relaxing and feels really, really good. 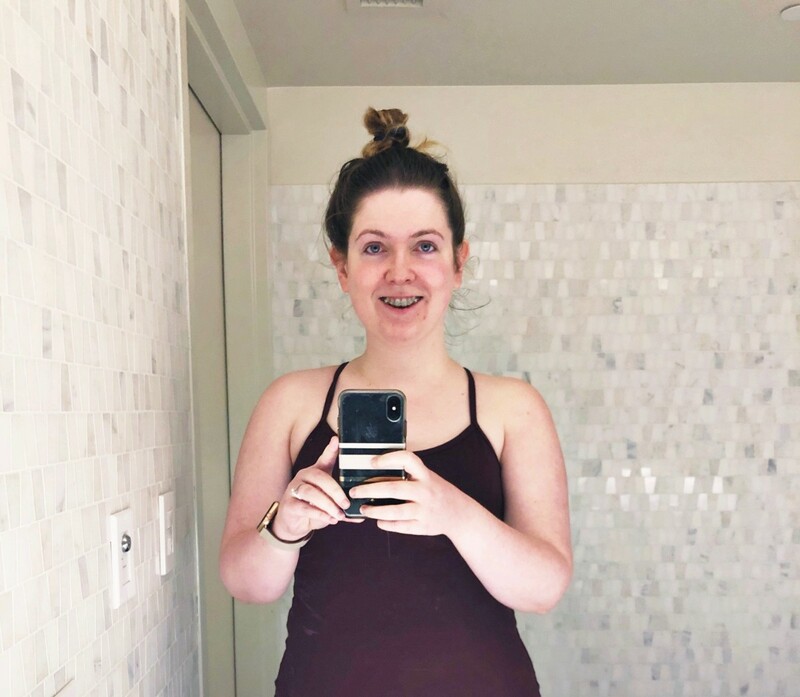 I wore yoga pants and a form-fitting workout tank and my massage therapist said it was the perfect outfit for treatment. She said wearing the right outfit helps you get the most out of the massage and she would recommend this outfit to every patient if she could. I LOVED my Thai massage. Dare I say, I liked it even more than a traditional Swedish massage. I’m very flexible and love to stretch and this massage stretched absolutely every inch of my body. I left feeling limber, clear-headed, and on an endorphin high. I’ve also been dealing with neck pain on one side of my body and it was gone after this session. I have finding a good Thai massage therapist on my to-do list now that I’m back in Omaha! If you live in Cincinnati, you are very lucky to have 21c Museum Hotel offering such fabulous Thai massages right in your backyard. Questions of the Day: Have you had a Thai massage before? Does a Thai massage sound like something you would enjoy? Oh wow. Thai massage sounds like just the thing for me. I don’t get muscle knots, so deep tissue really doesn’t do it for me. I DO need all that stretching, though! Thai massage sounds like it could be VERY beneficial to the body. Stretching is a great way to remove toxins from the muscles, and it just feels so good. I have to go see if they have this in my area. I have not experienced a Thai massage yet, but this sure looks like it will do wonders for my tired body. I will do an online search for establishments close to me that offer a Thai massage. Interesting, I’ve never heard of a thai massage. I’ve only ever had one massage and it was a bad experience. I would definitely like to try again though. That sounds awesome! I haven’t had a Thai massage but I have had a sports massage where some stretching was involved. It does sound like this is a bit deeper. Not sure if it’s something I’d be into but I guess I won’t really know until I try! 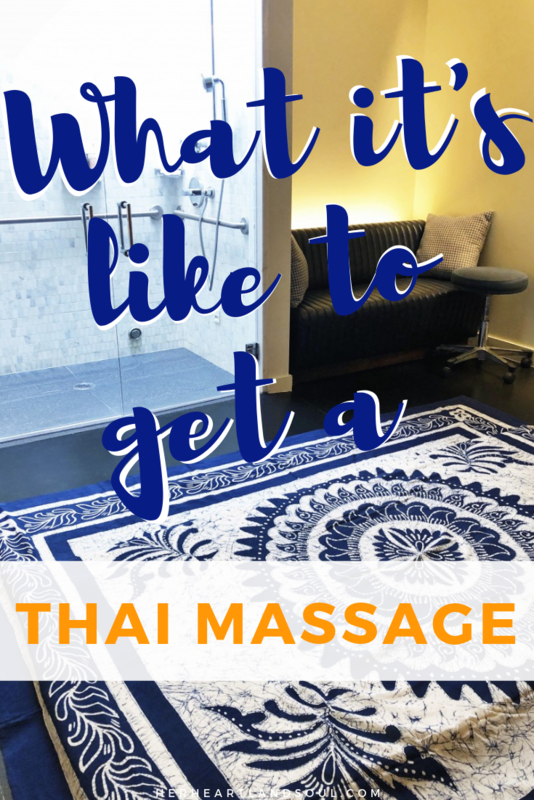 I love massages but when I tried the Thai massage technique when my family and I visited Bangkok I was hooked on it! It is the best! I have had something very similar while in CO. Its not Zen as you explain but by far better than the traditional massage. I look forward to my trips to Denver. This kind of massage sounds really heavenly!! There is nothing more better feeling than someone lifting and stretching your joints. I’m probably the only person in the world that doesn’t like yoga or massage. I am glad it felt good to you, it’s fun to have a pleasant experience. i would love this! Looks beautiful and relaxing inside. I can just imagine the world most wonderful massage. Traveling is the most exciting thing in my life. I always love to visit new places, meet new people and try something new. I never thought about Thai massage. it is good to know. I should try a thai massage for myself. I am often stressed and would love to work on my flexibility – so this could be a win-win for me. Thai massage is all over in our country now & I have experienced a few while I used to stay in Delhi. But none of them could match the ones that I have had in Bangkok. I’ve heard of this but didn’t now what it entails! Thanks for sharing! I didn’t know about the history of this — interesting that it’s been around so long! Thanks for sharing your experience and feedback about it. I never had a Thai massage but I will get one. I am planning a trip to Thailand and Bali this year so definitely prepping myself for a thai massage in Thailand soon! I have never tried a Thai Massage! I’ve done deep tissue for sore muscles but this sounds more calming. I’m going to see if there are any near me. I absolutely love Thai massages! My family and I went to Bangkok this past summer and they literally had to pull me out of the spas as I didn’t want the pampering to end. I love Thai massage and it have many techniques that is very different to Swedish massage. With its longer history, Thai massage depicted to be one of the best. I have never tried a Thai Massage. This sounds like an incredible experience though and I sure could use being stretched every which way!